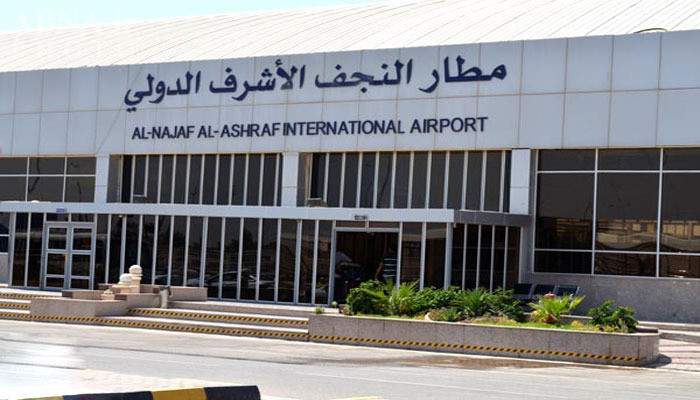 JNN 04 Dec 2014 Baghdad : El-Najaf International Airport announced the granting of free entry visas for all nationalities to facilitate the entry of the pilgrims prior to the Arba’een Pilgrimage. Haidar Rahim, Head of the Airport Media Division states that due to the excessive amount of pilgrims arriving at the airport, a third terminal was opened to ease the welcoming process for the millions of pilgrims averring at the airport. Arba’een is a Shia Muslim religious observance that occurs 40 days after the Day of Ashura. It commemorates the 40th Day after the Martyrdom of Imam Hussein bin Ali (A), the grandson of the Islam’s Prophet, Muhammad (PBUH) which falls on the 20th day of the month of Safar. Imam Husayn and 72 companions were martyred in the Battle of Karbala in the year 61 AH (680 CE), by the Tyrant & Injust Ruler YazidI’s army. This entry was posted in Middle East and tagged Airport Media Division, Al Najaf Al Ashraf Airport, Arbaeeen, El-Najaf International Airport, entry visas, free visa, Haidar Rahim, Imam Hussein bin Ali, Iraq. Bookmark the permalink.